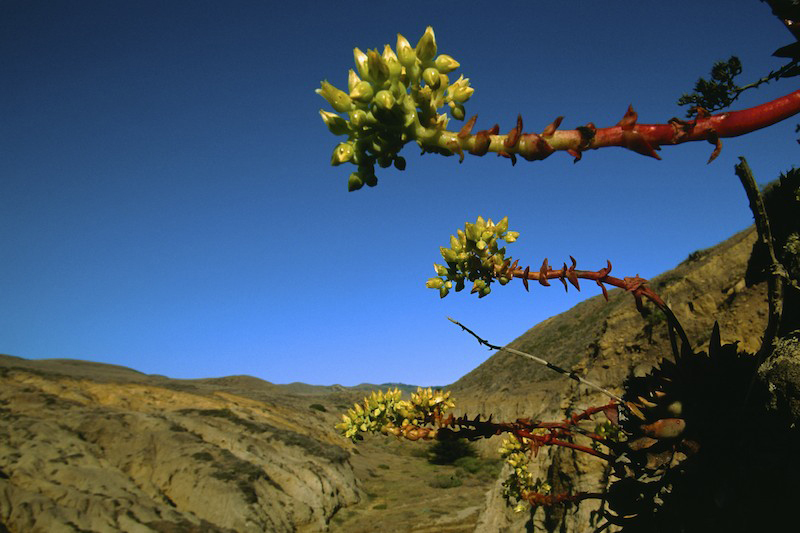 Candleholder live-forever plant (Dudleya candelabrum) on a canyon wall seem to beckon pollinators in Channel Islands National Park. Endemic species to California. Endemic to the Northern Channel Islands only.